I've tried to make homemade dish detergent before, but the dishes just seemed weird once the cycle was done. I don't know if they seemed powdery or spotty? It's been a while. I had actually given up on the idea of being able to make my own dishwasher detergent to keep in my kitchen. 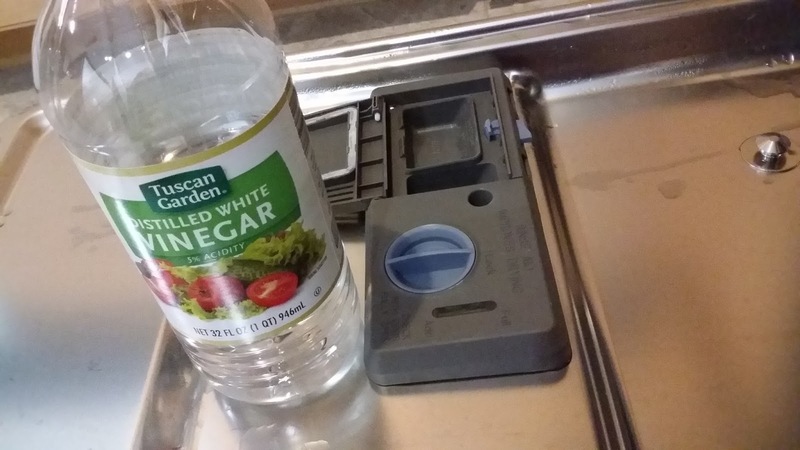 This week I used my last little dish washer tablet though, and I didn't feel like going to the store. 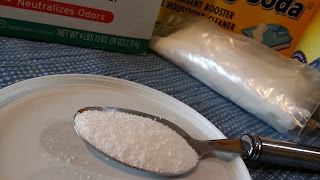 I searched online and tried again to find a homemade dishwasher detergent recipe that might work. I found one online at the Wellness Mama blog. She said that she had tried several recipes and tweaked her recipe until she got something that worked. So, I decided to go for it! Luckily, I had all the ingredients needed to make it here at my house, in my laundry room cabinets and kitchen pantry. It uses a lot of the same ingredients as homemade laundry detergent, so that was nice. It also uses citric acid. I had some of that in my kitchen cabinets for my failed attempt at making homemade mozzarella! Ha! At least that citric acid came in handy for something. I'll also be using it to make some homemade bath bombs in the future, hopefully. I guess that stuff is pretty handy! I got mine on Amazon. 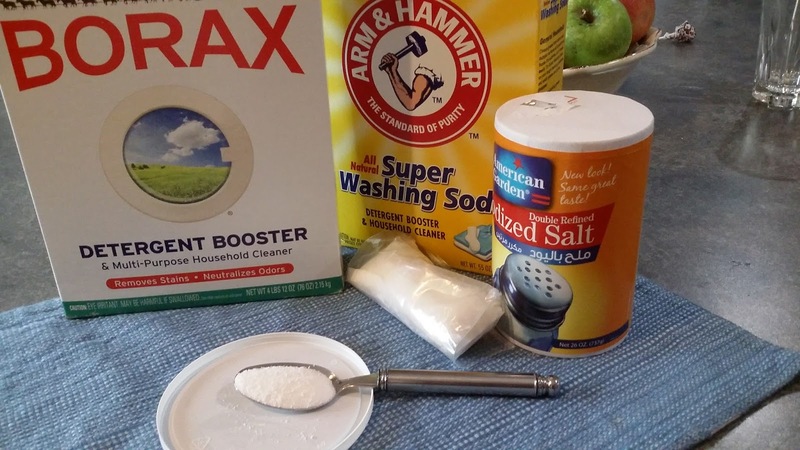 Homemade Dishwasher Detergent recipe at the Wellness Mama blog. I used one tablespoon of the recipe above in my dishwasher. I also put a couple drops of my Seventh Generation dish soap on top of the powder. I get my Seventh Generation dish soap on Amazon, as well. I like to stock up and not think about it for several months, y'all! Deliver it to my door and let me not have to think about it for a while. I had no idea what to expect when I opened the dishwasher when it was done. I had visions of filmy, spotty dishes like last time in my head. . . . . but the dishes came out shiny! 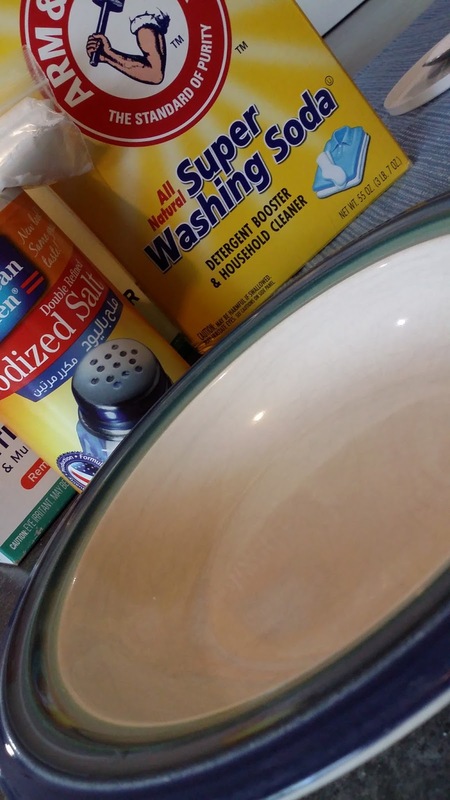 Finally, a dishwasher detergent recipe that I can keep making. Update : I've used it 3 times now and the dishes still come out shiny and clean, BUT I've noticed a few scratches on my glasses. I'm not sure if I'm seeing the scratches because I'm really focused on looking at the glasses to see if they're clean. . . . . and the scratches have always been there and I haven't noticed them before OR if they're new scratches from this formula. I'm not sure which part of the formula would be so abrasive as to leave scratches. The formula might take some tweaking to figure that out. Update #2: It's been a week and a half using it and it still seems to clean ceramic bowls and plates well, but out silverware looks a little cloudy. It could be because we're at the bottom of the batch I made and there's less of whichever ingredient helps with that. At any rate, I think this is good enough to use in a pinch every now and then or maybe even for a week at a time, alternating with the store bought dishwasher tabs so that we're not continuously using the stuff that has too many chemical ingredients. Update #3: About three weeks later and I've made more batches of this to keep in my kitchen. Still haven't bought store-bought dishwasher tabs. 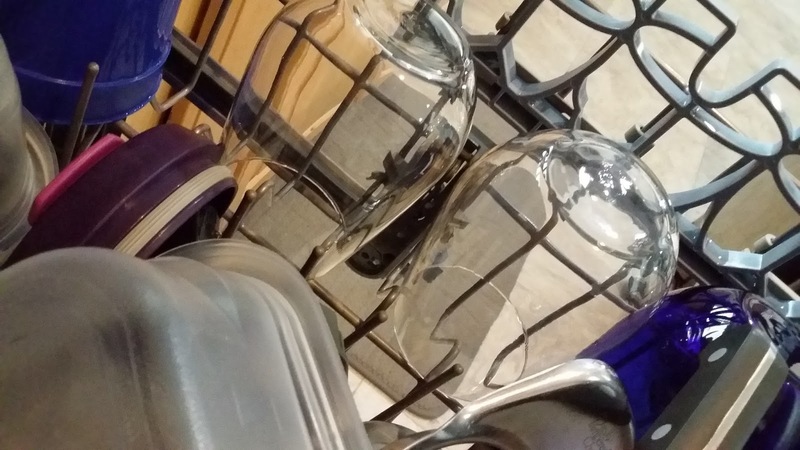 Most dishes seem like they get clean. I haven't noticed any more scratches on glassware, but the silverware doesn't seem to get clean. It looks smudgy. Might need to hand-wash those. Have you ever tried to make homemade Dishwasher Detergent to keep in your kitchen?